So here we have a woman defending herself after some young punk breaks into her home, attempting to rob her. She shoots the home invader, and the kids family had a response to his thieving that is blowing the internet away, it’s so hard to believe. This went down in Miami as the woman utilized her Second Amendment and shot down the man, fatally, who was invading and robbing her home. Police sided with the homeowner here as she was in the right to defend herself and her dwelling. The out-of-touch family is taking a different position. The young thief, Trevon Johnson, 17, robbed the house and was shot due to his very poor decision. The family of the teen is responding in absolute absurd fashion. “You have to look at it from every child’s point of view that was raised in the hood. You have to understand, how’s he gonna get his money to have clothes to go to school? 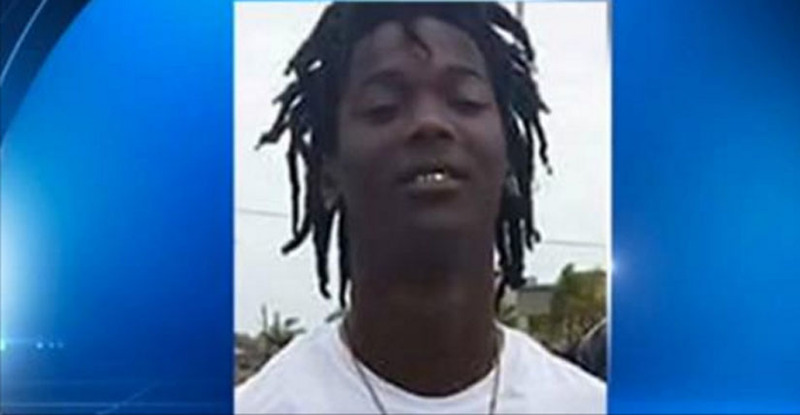 You have to look at it from his point of view,” Nautika Harris, Johnson’s cousin said. An unbelievable statement from the cousin who seems to want us to believe that poor Trevon would end up going to school naked had he not at least attempted to rob a home. Being raised in the hood doesn’t justify robbing so you can afford cool looking clothes. And he was into thieving as well. Don’t leave that out. Indeed it’s a shame that this young man’s life has ended so soon, and that he thought that robbing would benefit him in a positive way. But when you break into someone else’s domain, you run the risk of getting your head blown off. Those are the risks and if Trevon thought he was above those risks, well, it is sad that he found out otherwise. Hopefully others will learn that the risks are not worth it. Going to the thrift store for your clothing, is much safer than trying to rob for it.